* Integrates with any integrated EFB application, Ground Web Service (GWS), or Dynamic Data Distribution (D3) providing ARINC 633-1 or 633-2 formatted flight folders. Do it right. Do in once: AVIATOR reduces the need for manual data re-entry by sharing and synchronizing data between contributing apps. This not only saves pilots time in the cockpit, but reduces the potential of human input error. 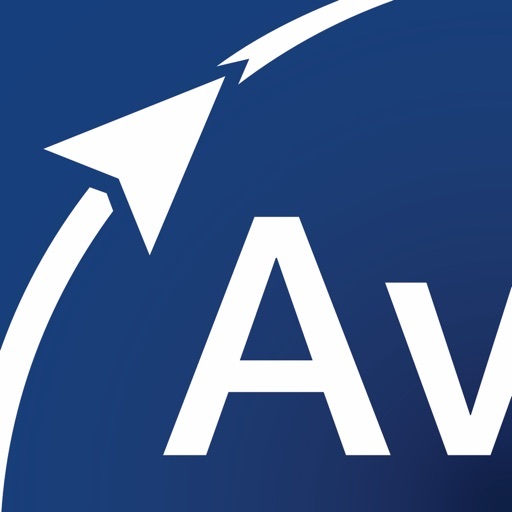 AVIATOR helps keep your operational risks to a minimum by combining fourfold backup redundancies to keep your fleet moving. Cloud-based navigation data assures the industry’s highest data accessibility. 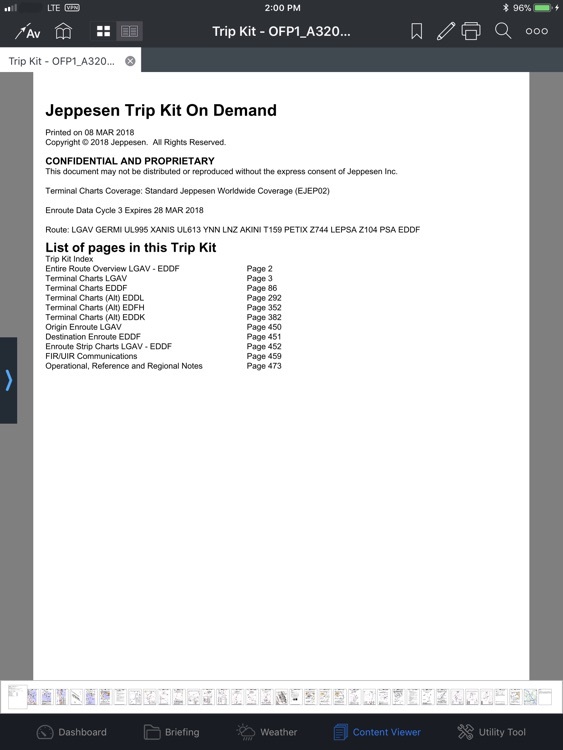 The integration of Jeppesen’s “Trip Kit on Demand” gives operators a backup service which assures their pilots always have the charts needed to keep your fleet moving safely – even when other data providers fail. And if a pilot is unable to update their device, AVIATOR‘s device-to-device sync allows other crew members to share their flight plans, flight information and even trip kits - right in the cockpit. 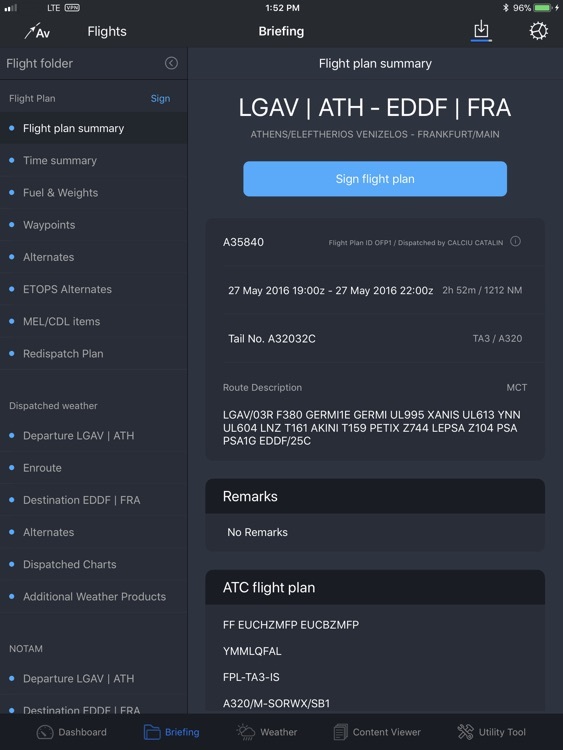 • Flight Briefing Module: transforms the pilot briefing and navigation logging process into a fully electronic format available anywhere there is connectivity. 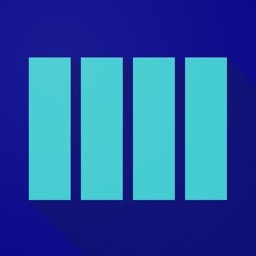 Review planned and estimated values in your AIRINC 633 formatted flight folders. 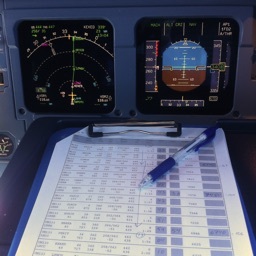 Review and sign your flight plan, NOTOCs, LoadSheets, and Journey Logs. Enter actual values as you fly. 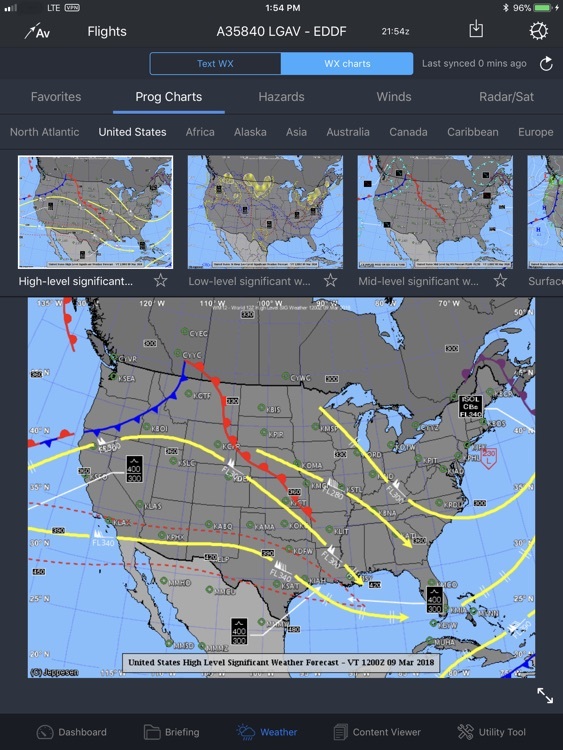 Includes the ability to review dispatched weather and NOTAMs. 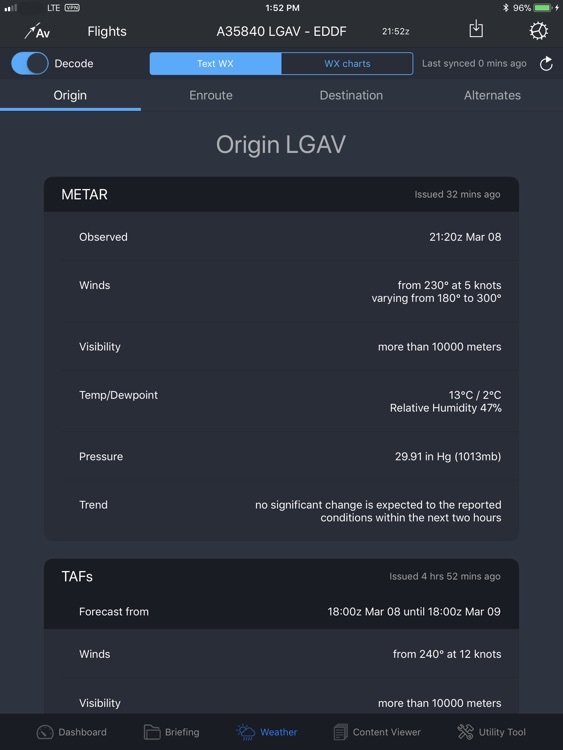 • Weather Module: Retrieve real time textual weather (METARs, TAFs, SIGMETs, AIRMETs, and PIREPs) and weather charts (prognostic, hazards, winds, radar/satellite) for up-to-date weather. 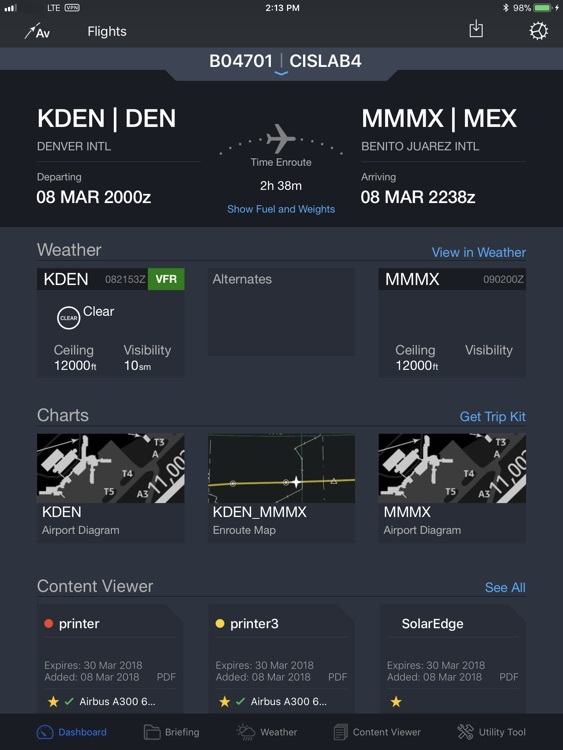 • Content Viewer Module: View traditional paper-based airplane and airline documents in a fully digital format with a powerful document viewer which allows for bookmarking, highlights, annotations, printing, and night mode. Reconcile your annotations to a newer version of your document. 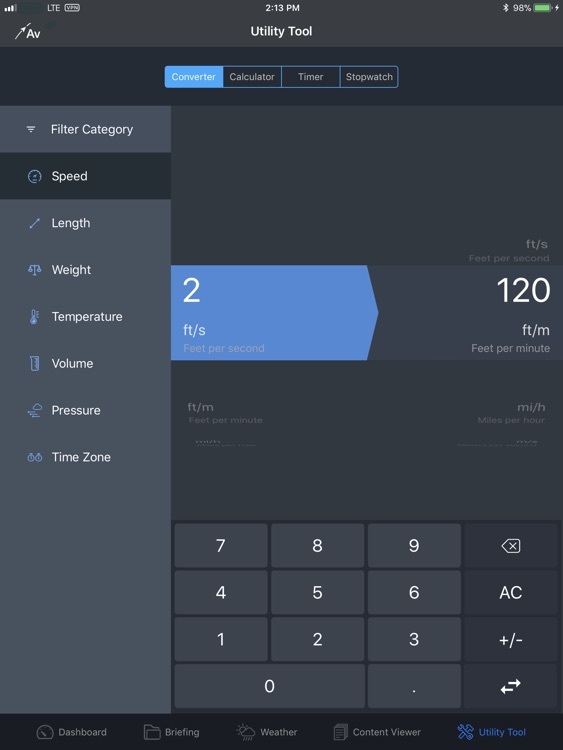 • Pilot Utilities Module: Calculator, unit conversions, timer, stop watch, and a deicing hold over timer functionality built-in. • Dashboard displays key centralized information including weather and flight information. • Simple to use interface. 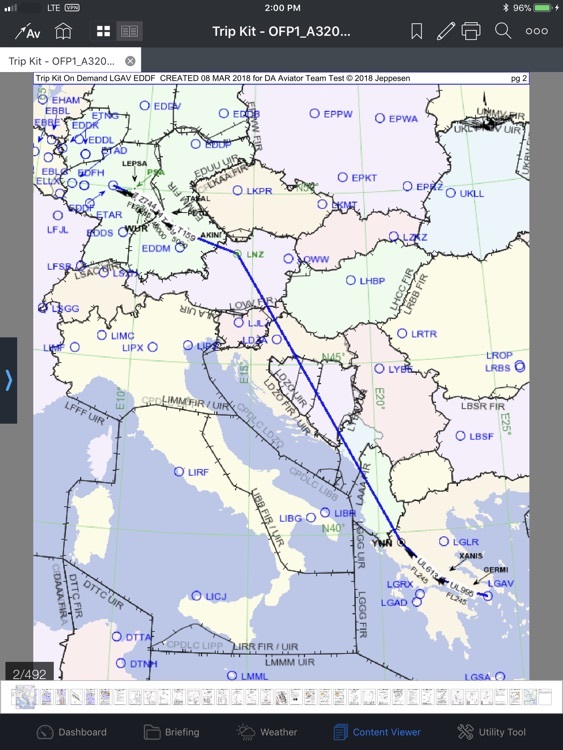 • Unified navigation menu across all EFB applications allows quick access from anywhere in the apps. • TripKit on Demand integration provides easy alternate source of electronic navigation charts. 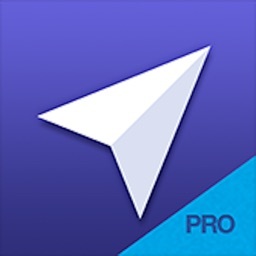 • Device to device sync allows quick and easy sharing of Flight Plans, Flight information, and Trip Kit content between devices in the cockpit.